In honor of Poetry Friday, here are some of the most popular poetry anthologies in my class this year! Where the Sidewalk Ends 30th Anniversary Edition: Poems and Drawings– Shel Silverstein is always a winner with my 6th graders! Where the Sidewalk Ends is his most popular book with my students year in and year out. Inevitably, I end up with a few students who can recite some of the poems word for word. During our poetry study I always use Poetry Speaks to Children (Book & CD) during our listening center. The anthology includes a variety of poems from poets like Nikki Grimes, Langston Hughes. Robert Frost, Roald Dahl, and many more. The CD includes the poets reading many of the poems and it is beautiful to listen to. Another popular poet is Jack Prelutsky. I don’t think I have seen my copy of A Pizza the Size of the Sun in months! Every so often I catch a glimpse of it being moved from one student’s backpack to another. And while it is not strictly a poetry book, I have a soft spot for William Carlos Williams. Jen Bryant’s A River of Words: The Story of William Carlos Williams is one of my favorite picture books. The illustrations by Melissa Sweet are gorgeous and Bryant’s text is lyrical! I love reading this one aloud. It’s perfect for all ages. Do you have any favorite poetry books? I am not the only blogger who is creating a holiday book gift-giving guide. There are many talented bloggers out there sharing their favorite books and ideas. Looking for some more ideas? 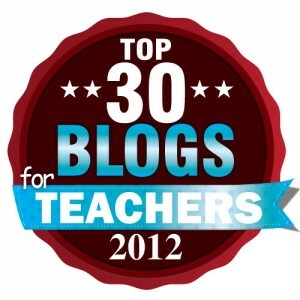 Check out these great lists from my blogging friends! MotherReader has 105 Ways to Give a Book. Ann at Booklights has a great list of gifts for a year of reading with your preschooler. Abby has a great series: the Twelve Days of Giving. Don’t forget to check out the Cybils nominations. The lists are chock full of great books and even better gift ideas. Chasing Ray has one of my favorite lists: authors have suggested books for girls 12 and up. There are some fantastic ideas on this list! Be sure to check out Part 2 and Part 3. Please link to any of your favorite blogger lists in the comments! I love Gary Soto and I am thrilled that he is popular with my students this year. His most popular book right now is Facts of Life: Stories, a collection of short stories about a group of middle school students. If you are looking for funny, then look no further than Jon Scieszka’s Knucklehead: Tall Tales and Almost True Stories of Growing up Scieszka. This collection of memoir small moments will leave you in stitches. Scieszka grew up as the second of six sons and each short story tells the tale of some crazy escapade the boys got into growing up! My animal lovers have been passing around Every Living Thing by Cynthia Rylant. Each of the twelve stories focuses on the interaction between a person and an animal. They are gorgeous and I love to use them as mentor texts, too! Maybe you have a real man’s man in your house. Well, hand them a copy of Guys Write for Guys Read: Boys’ Favorite Authors Write About Being Boys. More than 80 authors and illustrated contributed anecdotes about their boyhood and my boys can’t get enough of this book! Finally, all of my students love 13: Thirteen Stories That Capture the Agony and Ecstasy of Being Thirteen. Middle grade and YA authors contributed to this collection of stories about 13 year old characters. These realistic fiction stories always ring true for my students. I am always on the lookout for more great short story collections, so please leave any other suggestions in the comments! The 39 Clues Book 1:The Maze of Bones is the first book in the 39 Clues series. When their favorite Aunt Grace dies, Dan and Amy (along with all their relatives, near and far) are faced with an unusual choice: inherit one million dollars and walk away or join in a dangerous treasure hunt. No pressure or anything- the outcome will only effect all of humanity! Many of my girls have fallen in love with Worst Enemies/Best Friends, the first book in the Beacon Street Girls series. Focused on four girls in middle school, this realistic fiction series hits all the right notes for my girls- middle school drama, friendship, and ambitious girls! Within the past few weeks a new series has been making the rounds, one I don’t have on my shelves. I am hearing nothing but raves about Leven Thumps And The Gateway To Foo, the first book in the Leven Thumps series. Somehow, this one slipped under my radar but I have a persistent group of students who are begging me to read this one as soon as I am done my Cybils reading. I adored Nancy Drew when I was a tween and it thrills me to see that Keene’s books are still popular. Many of my students read and love Nancy Drew, too and can’t believe she has been around since my own mother was a kid! Finally, the most popular series in my room year in and year out is Margaret Peterson Haddix’s Shadow Children series. Set in a dystopian society where families are only permitted to have two children, Luke is third child who is forced into hiding. If he is found, the Population Police can and most likely will have him killed. Full of suspense, this series hooks even my most dormant readers and has them begging to read the rest of the books! What are some of your favorite series for middle schoolers? My students love verse novels. Whether they are dormant readers or voracious ones, my students pick them up and sing their praises. It’s one of the easiest ways to get my students to read some of their least favorite genres. If it’s a verse novel, they will read it! Sonya Sones writes fantastic verse novels, and One of Those Hideous Books Where the Mother Dies is one of the most popular among my girls. I’ve already had a few run out and buy their own copies of her other novels after reading this first. Another popular author in my classes is Wendy Mass, and her Heaven Looks a Lot Like the Mall is never on the shelf anymore. Many of my girls read this novel first and then fall in love with Mass, moving on to her numerous other (non-verse) novels. I refer to Heaven Looks a Lot Like the Mall as a “gateway book”. Historical fiction can sometimes be a tough sell for 6th graders. Thank goodness for Jen Bryant and her The Trial. Set in NJ, this verse novel follows the story of the Lindbergh baby trial and my readers usually set off to research even more about Lindbergh after reading this novel. The Holocaust and WWII are two topics with no end of novels written about them. However, they can be heavy and overwhelming topics for some of my students. For those who are interested in the time period but don’t want the burden of a long, prose novel there is T4 a novel. Paula, a deaf 13-year-old, learns about Hitler’s T4 program, which states that doctors euthanize the mentally ill and the disabled. Because her deafness means she is a target, Paula is forced into hiding. This is a portion of history that most social studies books do not touch on and it always hits home with my students. Brushing Mom’s Hair (a Cybils nominee this year) also focuses on a tough topic- breast cancer. Ann’s mother has been diagnosed with breast cancer. Her recovery from surgery and her chemo treatments are by Ann, her youngest daughter. It’s a heartbreaking book but my students love it. One of my most successful read alouds last year was Diamond Willow. This novel is an exciting mix of survival adventure and tween girl’s discovery of family roots and secrets. Willow loves her dogs and when an accident means one of them might have to be put down, she is determined to make sure that doesn’t happen. What great verse novels do you and your students love?